Since 2010 Europe has faced an unprecedented migratory crisis and its Member States are struggling to agree on the attitude that they should adopt. The parties on the far right have, over the last few years, succeeded in mobilising an increasing share of the electorate, as they have established a parallel between the rise in migratory flows, terrorism, the rise in Islamic fundamentalism and membership of the European Union. In this context it seems opportune to review the main models of immigrant integration models around Europe and in the Americas, to assess whether some are better adapted to rise to the challenges mentioned above. It has been customary since the 1980's to associate the idea of integration with that of a "model", as if each country had a specific "pattern" when dealing with its immigrants. This notion is not unfounded, although it leads to simplified, partially incorrect representations in the way that countries manage their diversity. It is anchored in the observation that the way cultural, linguistic and religious diversity is treated differs according to political systems. Michaël Walzer is one of the only authors to have offered a classification of the political systems according to their approach to diversity. He defines five types of "political tolerance systems" in the West: multinational empires, international society, consociations, Nation-States and immigration societies. Each of these systems is typified by a specific management of cultural, linguistic and religious diversity, which is the foundation of a specific mode of cohabitation. The Nation-State, which is the most common form of State, can be defined by the sharing of a common language and culture. It means that "a single dominant group organises life together according to its own history and culture". This type of State accepts and recognises the presence of minorities in its territory, but this tolerance never goes as far as challenging the cultural and linguistic monopoly granted to the majority. The minorities are allowed the free expression of their religion, culture and language within their private sphere, but the demonstration of particularities in the public sphere is suspected of jeopardising social cohesion and the values of the majority. Hence, in France, a Nation State par excellence, the wearing of the veil in schools was the focus of debate and concern before it was banned. The collective way of thinking goes hand in hand with a certain apprehension of integration, whether we consider it a "model" or not. It does not just involve immigrants, but the entire population, both past and present living in this nation. Hence, according to Marcel Mauss, "there cannot be a nation without there being a certain integration of society ," since by definition the nation is a group which is typified by the sharing of certain common cultural features. The integration of immigrants in society is therefore inseparable from national integration as a whole, which explains the link that is so frequently established between national identity and the theme of immigration. For its construction the nation has often had to undertake progressive, forced assimilation of various communities or groups living in its territory. In France the Revolution triggered a process of political, cultural and linguistic unification that was underpinned by the abolition of feudal orders and all of the intermediary bodies between the State and the citizen that might jeopardise the nation's unity. The use of regional languages in schools was banned and the division of France into departments helped break any attachment to the old provinces. This process of homogenisation continued throughout the 19th century. The way that nations have been constructed explains the expectations, both implicit and explicit, on the part of the State and the majority of the citizens with regard to immigrants. They are expected to integrate the culture of the majority, i.e. to adopt behaviour that is in line with the way the majority behaves. Although the term "assimilation" has been banned from the official language, the term "integration" which replaced it continues to indicate a certain degree of acculturation. From a theoretical point of view the idea of assimilation refers to the total relinquishment of the immigrant's culture of origin, whilst the term integration admits the possibility of remaining attached to one's original culture, whilst internalising the behavioural standards of a society. However, in reality, the Nation State's expectations of immigrants remain similar on the whole: they are invited to learn the official language, respect the culture and values and to comply with the majority's way of life. In other countries however the distinction between integration and assimilation is much sharper. In Canada for example for the individual it seems clear that "integration (...) does not mean the loss of his/her identity, of his/her initial features, his original and culture language" . The immigrant is therefore invited to keep and maintain his culture of origin, without this bringing his participation in society into question. The immigrant's integration is assessed via a series of parameters linked to his social, economic and professional status which recall that integration is a mutual movement that concerns the host society as much as it does that one being hosted. In this immigration society the State tries to treat the cultures present in its territory with the greatest impartiality as possible, to avoid showing any explicit bias towards certain groups. These examples demonstrate that the meaning of integration and the shape that it takes depends closely on the history and the type of political system. An integration system can be assimilationist regarding immigrants in a society that favours the protection of certain features of its indigenous communities, which have been established in a territory for centuries. This clarification is vital because increasingly people confuse the way communities live together in a State and "multiculturalism", which indicates an immigrant integration method. Switzerland is a consociation, which is typified by communities cohabiting "side by side", each with their schools, their territory and their customs, but its integration system as far as immigrants is concerned is "assimilationist". Conversely Canada, which is one of the only countries in the world to having officially adopted a policy of multiculturalism, does not have a project of seeing juxtaposed cultural, religious and linguistic communities cohabiting in its territory. The declared goal of multiculturalism is, on the contrary, to facilitate the integration of immigrants to one of the two majority linguistic, either French or English speaking, communities. It is customary to compare the two main integration "models": an "assimilation" model and a "multiculturalist" model. The assimilation model, also known as "the republican model", claims blindness as far as cultural and religious differences are concerned. Based on the principle of equal dignity for its citizens, it is built on a universalist policy attributing the same rights to all, regardless of their differences. Conversely, the model of multiculturalism is based on a policy of difference which itself is based on a universalist postulate: all citizens must have the right to live according to their culture and their religion. The impact of universal laws adopted by the majority can turn out to be discriminatory for people belonging to the minority and religious culture, which might suppose the introduction of accommodations, the aim of which is to re-establish equality. The aim of these two policies is the same: to ensure that all citizens are equal, but they differ in the way they promote it. In the first case equality is guaranteed by rigorous identical treatment, independent of differences. In the second case equality refers to the equality of individual opportunities. Individuals must all be treated fairly, which means the consideration of their respective differences. This policy deems that inequalities and effective discrimination which are shown towards certain members of society due to their particular identity, whether this be women, the handicapped or people of colour, justify the introduction of differential policies, whose aim it is to re-establish equality. 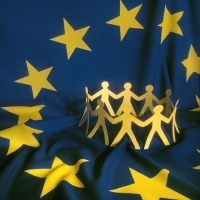 The models of integration implemented in the countries of Europe have been shaken since the end of the 1990's by events that have led to their respective development. This is why it is difficult to continue making radical comparisons between the two major paradigms, with one based on the rejection of all differentiation, and the second on its promotion. In Nation-States like France the term assimilation has been relinquished to the benefit of integration which allows the upkeep of certain differences. In 1981 the creation of Zones d'éducation prioritaires (ZEP) (Priority Education Zones) shows that the Republic accepted the idea that equality might involve providing some underprivileged areas with more resources. The urban guideline bill dated 13th July 1991 (91-662) that aims to balance the distribution of populations across the territory obliges each community to build a certain percentage of social housing so as to foster social diversity. The same applies to the priority education agreements adopted by Sciences Po in 2001, whose goal it is to enable underprivileged socio-professional categories to study in a "Grande Ecole". These programmes aim to make up for social inequalities, but France is still against any distinction on the base of origin, religion or skin colour, even though this differential treatment aims to compensate for discrimination. This model of integration qualified as "republican" continues to be the focus of a wide consensus within the population even though since 2004, when the bill banning the veil in schools was adopted, several academics have expressed their support for an integration policy that embraces differences more. In 1996 the State Council's annual report dedicated to the principle of equality challenged the abstract approach of republican equality and admitted that universal laws were not enough to eradicate discrimination: "the principle of equality only really achieves its goal if it is also a vehicle for equal opportunities. This must be actively promoted to put a stop to economic, social and cultural inequalities. This can be achieved via a differentiation of rights if the general interest resulting from the aim to reduce inequalities makes it legally possible to allow a reasonable derogation from the principle of equal rights." Like the republican policy, multiculturalism has also developed. Canada has moved on from the promotion of the immigrants' culture of origin to programmes that foster equal opportunities, dialogue and a feeling of belonging to society. Similarly the UK and the Netherlands have experienced more radical changes, moving on from a policy of recognition of cultural and religious groups to a demand for integration into the dominant culture. The Canada was the first country in the world officially to adopt a multiculturalism policy, which emerged with the introduction of programmes at federal, provincial and local levels. This policy was launched in 1971 by Pierre-Elliott Trudeau, the then Prime Minister, with the aim of bringing Canadians together around a policy that could promote the value of their differences. At the time the Royal Commission on Bilingualism and Biculturalism proposed acknowledging Canada as a bilingual, bicultural country based on the contribution of two equal founding populations, the French and the English speakers. But P-E. Trudeau feared that the recognition of two founding peoples would lead to the division of Canada and feed sovereignist aspirations. In multiculturalism he saw a political strategy that might strengthen Canadian unity. This policy aimed to bring all citizens together, whether they were French or English speakers or from immigrant populations. In 1982, it became part of the constitution in article 27 of the Canadian Charter of Rights and Freedoms and in 1985 the Bill on Canadian Multiculturalism specified its content: the multiculturalism policy "reflects the cultural and racial diversity of Canadian society and acknowledges the freedom of all members of Canadian society to preserve, enhance and share their cultural heritage." It recognises multiculturalism as a "fundamental characteristic of the Canadian heritage and identity". It is difficult to generalise about programmes working toward multiculturalism because they have changed a great deal since 1971. From the date of its creation to the end of the 1980's, multiculturalism was based on a series of programmes to promote the protection of immigrants' cultures of origin without considering unity. In a second phase, which started in 1991, the battle to counter racism became a priority. It coincided with the realisation that the celebration of difference was not enough to wipe out the obstacles to integration. In the last phase, which started at the end of the 1990's, multiculturalism developed towards the promotion of an inclusive Canadian identity and of common values. Some pretend that this development shows that the multicultural model of integration is dead. However, we should not misunderstand this: although Canadian multiculturalism has developed, it clearly remains distinct from the republican policy of integration. Canada has not adopted a neutral approach or blindness towards its citizens' cultural or religious roots, but it takes them into consideration to facilitate their integration into society. This is notably reflected in the awareness that certain universal laws can be discriminatory for some minorities. In this case the law provides that the bill can be relaxed, which is called "reasonable accommodation". This idea comes from the labour law in which an employer must agree with the complainant if a company regulation is revealed discriminatory to him because of his religion, his origin or because of his handicap. These accommodations have a legal framework: they must not represent an excessive cost for the employer and they must not damage the functioning of the company or the rights of other people working in the company. Although Canada allows new citizens to retain their culture of origin it does acknowledge the importance for the person applying for nationality to know at least one of the two official languages, either French or English, and for them to have knowledge about how Canadian society functions, its laws and what the responsibilities of the citizen are. This knowledge is assessed via a test that must be sat by all of those aspiring to Canadian nationality. The UK: from the promotion of equal opportunities to "Reclaiming Britishness"
In Europe the term "multiculturalism" refers more frequently to the British and Dutch experiences, whilst these countries have never officially adopted a multiculturalism policy, which is the source of confusion. In 1948, following the independence of several of its colonies the UK decided to grant all of the citizens in the Commonwealth countries the right to work, settle and to vote (Nationality Act). Many immigrants from the territories of the former empire - from Africa, the Caribbean, Asia and from the Indian subcontinent, came to the UK; but they were received with a wave of racism. Given this discrimination (colour bar) that was expressed in Britain and in several of its former colonies, the government was forced to respond. It was in this context that it adopted the first major bills that were constitutive of its integration policy, the Race Relations Act. The laws that were adopted in 1965, 1968 and 1976 respectively aimed to counter a discriminatory situation experienced by people of colour. Although "race" or ethnicity became a central feature of the British integration policy this was because there was an effective situation of discrimination against these people which obliged the government to take this factor into consideration. In 1966 Roy Jenkins, the then Home Secretary, summarised the new approach: integration does not mean "immigrants losing their own features and national culture. I do not believe that we need a melting-pot in this country, which would transform everyone in a common mould, like a sample from a series of carbon copies of the tactless vision that some might have of the British stereotype. I therefore define integration not like the levelling process of assimilation but as equal opportunities, associated with cultural diversity, in an atmosphere of mutual tolerance" (1967). Ethnic statistics helped the authorities identify discriminatory practices but the country prohibited quotas and positive discrimination. Businesses and establishments were able take into consideration origin or religion as a criteria in their subjective choices during recruitment, but only if the candidates had a similar level of qualifications. In the 1970's several studies on the abnormally high school failure rates of young Jamaicans strengthened the idea that the pejorative image that people had of people of colour was an impediment to their integration. Margaret Thatcher asked Lord Swann to write a report on the issue that was published in 1985 under the title: Education for All. The authors stressed the importance of integrating the contribution that cultural minorities make in the school curriculum, i.e. to take on board the cultural pluralism in British society, but they rejected the excessive exaltation of differences that might lead to the entrenchment of these identities. It also stressed that unequal opportunities in education was one of the effects of the ghettoization of minorities in underprivileged social neighbourhoods. The UK based its policy on the acknowledgement of ethnicity because it noted that there was discrimination, however its goal was never to see the emergence of compartmentalised communities. Undoubtedly, it neglected for far too long the importance of raising these groups' awareness of the specificities of British society, typified by an identity, values and a language. The wish on the part of the British administration to adapt to the existence of minority groups and to foster their integration led it for example to translate many administrative documents and forms into the minorities' main languages, which proved to be damaging to their linguistic integration. But since 2001 the UK started to orient its integration policy differently. In September 2002, David Blunkett, the Home Secretary, attracted attention to himself for having recommended that the minorities speak English at home so as to ensure better inter-generational communication and to prevent the creation of an excessively big gap between the public and private spheres. He expressed remorse for having maintained that denominational schools were an impediment to citizens' integration. In 2002 he suggested the introduction of civic education lessons (citizens' classes), the aim of which was to raise the awareness of young people of immigrant origin of British history and the English language. Since the 2000's several personalities have said that the denominational schools were aggravating segregation and mutual prejudice between the communities. A secular trend then emerged that was against denominational schools, which recruited pupils exclusively from a particular religion. The Nationality, Immigration and Asylum Act of 2002 put forward the symbolic strengthening of nationality and the tightening of the asylum policy. The result of this was the introduction of a citizens' test for people seeking nationality, the aim of which was to test the level of English and knowledge of the institutions, the history and laws of Britain on the part of the applicants. A ceremony during which new citizens swear allegiance to the Queen was also introduced. As in Canada, the UK has progressively become aware of the importance of fostering a common shared identity and values. These developments for greater social cohesion were inspired by D. Blunkett but not just him. Following the urban riots of 2001, which affected some underprivileged areas, several voices were raised in support of a more inclusive integration system (Reclaiming Britishness, 2002). The Netherlands' integration policy changed in 2002, following the assassination of Pim Fortuyn. In the 1970's violence on the part of several young Moluccans led the government to raised awareness of the importance of a policy specifically for the minorities (Minderhedenbeleid). Introduced in the 1980's it was based on the support granted to immigrant associations, the respect of cultural and religious identities and the fight to counter discrimination. The authorities became accustomed to consulting the representatives of the Muslim associations regularly when they took decisions regarding the minorities. This system was part of the extension of the "pillarization" that is the foundation of Dutch society: protestant, catholic, social-democrat and liberal. This system was updated at the beginning of the 20th century by Abraham Kuyper, a Calvinist, so that each Dutch citizen could live in the religion and ideology of his choice. Each pillar has its own schools, political parties, media, newspapers, its unions, universities and hospitals. This community mode of organising society is linked to the shape of the Dutch political system which is consociative, and has no direct connection to the system of integrating immigrants. However, it structures the relations that the institutions have with the religions so that when Muslims demanded, in the name of equality, the right to have their own schools, the Public Authorities accepted this. At present in the Netherlands there are 37 State funded Islamic primary schools and two secondary schools. Foreigners also won the right to vote and be elected in local elections after five years of residency in the territory. Since the start of the 1990's this policy has been under challenge. A report dating back to May 1989 encourages the authorities to continue an integration policy that would place more emphasis on learning Dutch and integration into the labour market. In 2000 Paul Scheffer published an article "The Multicultural Drama", in which he deems that the Dutch integration model based on pillarization had failed: "we are living in the Netherlands alongside each other but without ever meeting one another: each has his own café, his own school, his own idols, his own music, his own faith, his own butcher, and soon his own street and neighbourhood." At the same time Pim Fortuyn appeared regularly on the TV to denounce the place Islam was occupying in society. His assassination led to a rise of his party in the general elections in May 2002. This event was followed on 2nd November 2004 by the assassination of Theo Van Gogh by a young Dutch Islamist of Moroccan origin. These events, together with the rise of racist incidents against the Muslim community, pushed the country's leaders to adopt a new integration policy in April 2004. The latter is based on the taking of integration and language tests that are used to assess the immigrant's degree of cultural integration. However, unlike in the UK, which introduced this test for those seeking nationality, the Netherlands established it for all of those who ask for a visa on the grounds of family reunification (except for EU citizens, Canadians, Americans, Australians, Surinamese, Japanese and South Koreans). The integration test has become a criterion in the selection of the immigrant. Three years after their arrival or five years after for those who did not sit the initial text, all non-EU immigrants must sit the test again. In the event of failure the request for permanent leave to remain or for the modification of a resident permit can be refused. Measures that promote immigrant culture and the language of origin have been abolished. The learning of mother tongues offered in primary schools to immigrants was abolished (law of 24th May 2004) and institutions are no longer encouraged to distribute documents in the immigrants' mother tongue. The challenge of integration models has also affected countries with an assimilationist tradition like Germany. For a long time it was deemed to be a typical example of the "ethnic nation", in opposition to the "civic nation" model embodied by France. The first was founded on the right of blood (jus sanguinis) and referred to common linguistic and cultural features, whilst the second is based on the territorial principle (jus soli) and the sharing of political principles. This traditional opposition was challenged by the respective developments in both of these countries. In Germany the mode for the transmission of nationality based on criteria associated with heredity were relaxed in order to facilitate the integration of new citizens. Now, even if the parents are not German citizens, their children automatically become German at birth if the father or mother is living legally in the territory for eight years. A foreigner can also be naturalised German if he or she has been living in Germany for the last 8 years. This demands that the person sit a language and naturalisation test. For a long time Germany refused to include foreigners in the nation. Considered as "Gastarbeiter" they were invited to return home. But in 1990 Germany finally gave foreigners equal rights and access to the social system and in the 2000's the territorial principle was introduced into the law. Since foreigners were invited to remain in Germany they now had to integrate. This demand was furthered by Angela Merkel when she came to office in 2005 as she stressed that learning German and the adoption of the country's values were vital for the integration of immigrants. The country committed to the pragmatic recognition of diversity in its territory by offering language lessons to new arrivals and by involving universities in the training of imams. In Switzerland the territorial principle is still not acknowledged. The integration of immigrants comprises three inseparable elements: structural, cultural and legal. The cultural adaptation of the immigrant is vital as indicated in the 2007 Decree on the Integration of Foreigners (article 3). To achieve nationality the applicant has to have lived in Switzerland for 12 years and prove that he or she has integrated the way of life, as well as his knowledge of the culture, the customs and the functioning of Swiss politics. 10 to 20 years of residency count for double, which shows that education is supposed to play a major role in the acculturation process (Federal law on the acquisition and loss of Swiss nationality). Apart from residency, four conditions have to be fulfilled before Swiss nationality is conferred: to be integrated into the Swiss community, to be accustomed with the Swiss way of life and traditions, to comply with the legal order, and not to compromise Swiss security. These conditions are those set out by the Confederation, but the specificity in Switzerland is that the acquisition of nationality depends on a decision by the canton. Each canton therefore adds its own nationality acquisition criteria and terms to these minimal conditions, which makes Switzerland one of the most restrictive countries in terms of acquiring nationality. In many cantons the naturalised person must swear an oath. As an example in Geneva the oath takes the following form: "I solemnly swear and promise to be loyal to the Republic and to the canton of Geneva and also to the Swiss Confederation: to abide scrupulously to the constitution and to the laws; to respect the traditions; to justify my membership of the Geneva community by my acts and my behaviour; to do everything in my power to keep it free and prosperous." To gain residency the effort made by the foreigner to integrate is taken into account. Likewise, when permission for residency is given the "authorities take the degree of integration into account". The authorities can conclude "an integration agreement" with foreigners when a residence permit is granted. This agreement establishes cultural integration goals for the immigrant; "The integration agreement notably targets the acquisition of knowledge of: the social environment, the ways of Swiss life, the Swiss legal system, the basic standards and rules, the respect of which is the condition sine qua non of peaceful cohabitation. The expression of certain cultural differences is tolerated but it "is vital for foreigners to be familiar with the Swiss way of life and particularly that they learn a national language." The integration of immigrants into one of the native linguistic communities is necessary and nothing is done in exchange to guarantee the promotion of their language or of their culture of origin. However, Switzerland has a more progressive approach to integration than some other assimilationist countries. It deems that it is the result of a mutual effort involving the host society and the immigrant together. Unlike the assimilation model that considers that the success of integration depends exclusively on the behaviour of the immigrant, this mode of integration has the merit of seeing it as the result of shared responsibility: "Integration supposes on the one hand that foreigners are prepared to integrate, and on the other that the Swiss population is receptive to them." This reciprocity creates obligations that the Confederation, the cantons and the communities have to respect with regard to the foreigners. They have a duty to create "conditions that will favour equal opportunities", foster the involvement of foreigners in public life and to encourage "mutual understanding between the Swiss and foreign population." The Decree on the Integration of Foreigners of 2007 insists that firstly integration aims to ensure equal opportunities between the Swiss and foreigners. The transformations underway in several countries are challenging the idea of "models" that seems to refer to the existence of a single mould in which integration policies are defined. Several countries that were traditionally defined by their "multicultural" policy, like the UK or the Netherlands, have developed to recognise the importance of sharing a common language and values. Conversely assimilationist countries like Switzerland and France have become aware that the injunction to integrate is not enough to establish equal opportunities and to counter exclusion in an effective manner. But in spite of these respective developments integration methods continue to vary depending on the States. Some countries like Canada and the UK are more receptive to the expression of cultural and religious differences than others, for whom integration remains synonymous to acculturation. In British schools for example teachers raise pupils' awareness of the existence of other cultures and religions. The commission for racial equality deems that it is the role of the schools to "prevent racial discrimination and to promote equal opportunities as well as harmony between races ". From this standpoint teachers try to promote the culture and mother tongue of the immigrant children, so that they are aware that their bilingualism is an asset to be used and not a defect. Taking account of children's language and culture helps guarantee a link between the child's life at home and what he or she hears at school. It especially helps to prevent the child feeling that his or her culture, religion or language is frowned upon in the public sphere, a phenomenon that might lead him or her to believe that the two cultural environments are incompatible and that he or she has to choose between them. Over the last few years the multicultural models have often been criticised and associated with communitarianism. However there is no report or scientific study to point to the failure of these models. None of these countries want to see communities cohabiting in isolation from each other. Communitarianism is an abusive trend that is affecting both the so-called multicultural, as well as the assimilationist models. The geographical concentration of immigrants in socially underprivileged neighbourhoods, who are aware that they do not always enjoy the same opportunities as the majority is the heart of a negative feeling on the part of some minorities and of their withdrawal into their community. This phenomenon is heightened in countries where immigrants mainly come from former colonies, as is the case with France, the UK and the Netherlands. The feeling of injustice on the part of those who feel excluded is exacerbated by the story told and experienced by their parents in the country of origin. This feeling of compartmentalization can be amplified in a State where each community has its own schools, its places of worship and associations, as we have seen the Netherlands. However, it has not been demonstrated that a policy advocating blindness to cultural differences does not produce the same effects as seen the French suburbs. Whatever the situation integration systems now face two challenges that mean that awareness of diversity is necessary: the geographical concentration of minorities in underprivileged neighbourhoods and the radicalisation of certain young people. These challenges are forcing the States to develop towards a more pragmatic management of the problems caused by cohabitation, without relinquishing a universalist policy based on the practice of a common language, the respect of shared political principles and equal access to rights, housing and employment. WALZER, M. On Tolerance, (Yale University Press, 1997). MAUSS, M. (2013). La nation, presented by M. Fournier and J. Terrier, Paris : Presses Universitaires de France. CANADA (1970). Report by the Royal Commission on Bilingualism and Biculturalism, Book IV "The Cultural Contribution of the Other Ethnic Groups", Queen's Printer for Canada, Ottawa. COMMISSION FOR RACIAL EQUALITY (CRE) (2002). Migrants, minorities and employment in the United Kingdom, London.